Real beauty comes from within. 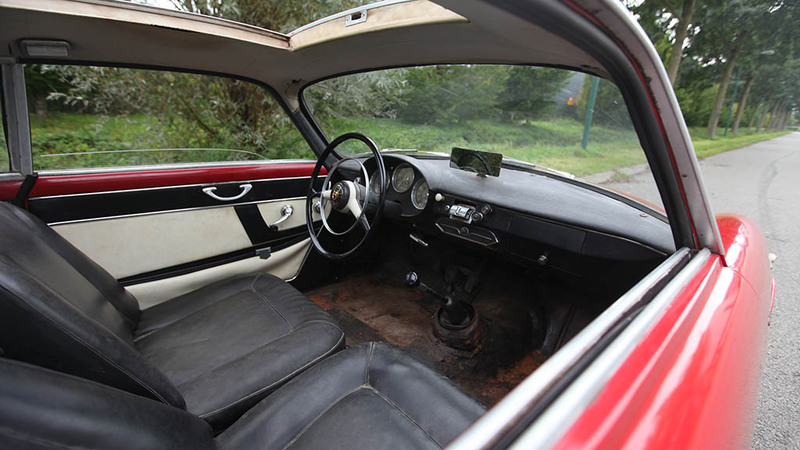 Similarly, in the case of this special barnfind discovery: an original Swedish-supplied Alfa Romeo Giulietta Sprint from 1959. Provided with an amount of patina that make true enthusiasts nervous. 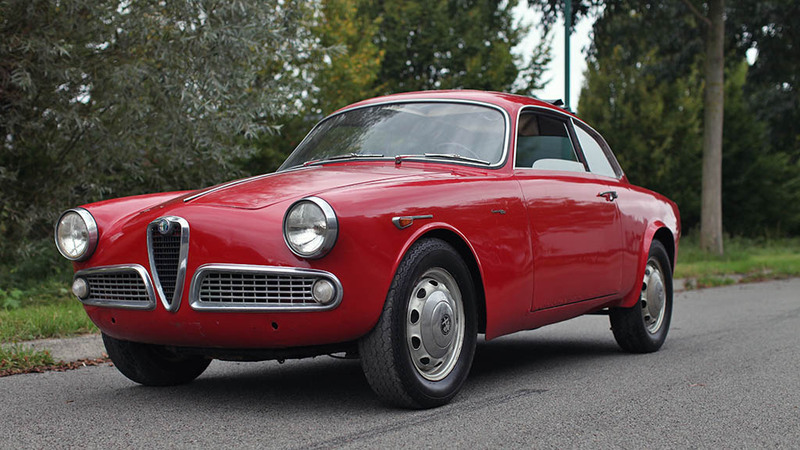 The Giulietta Sprint debuted on April 19, 1954 during the Turin Motor Show under the watchful eye of many tens of thousands of visitors. 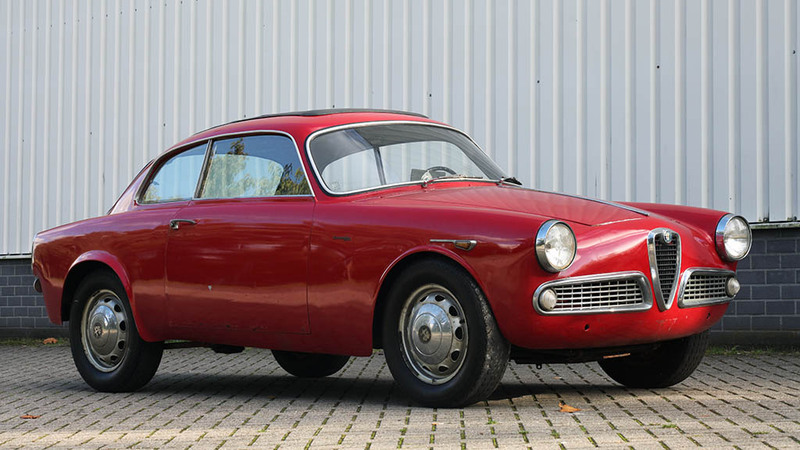 The model used to be the forerunner and warming up for the four-door Berlina version, but partly because of her elegant lines, she won many car hearts. Interest was even greater than expected. As a consequence, the demand for the sporty Alfa was greater than they could keep up with. A significant increase in production capacity proved indispensable. 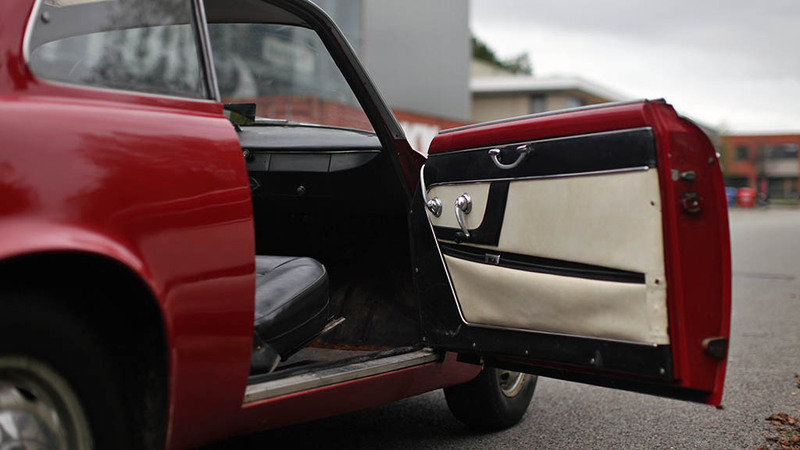 The Giulietta Sprint enters the history books as a great success. And that’s more than just right. 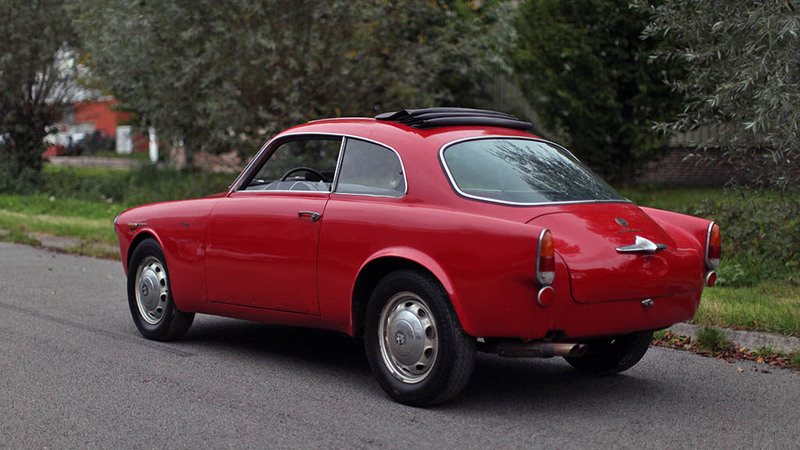 The handsome Bertone 2+2 coupé body of this Giulietta Sprint may have lost some of her shine over the years, but don’t be mistaken. Under the red lacquer, a delicious machine is hidden with a great character and potency. The charming Italian is hard on the bottom and contains little to no rust. The engine starts and the electronics are perfectly fine. Lighting, windscreen wipers, ignition: it all works properly. This forms a rigid foundation for any rally and / or street use. 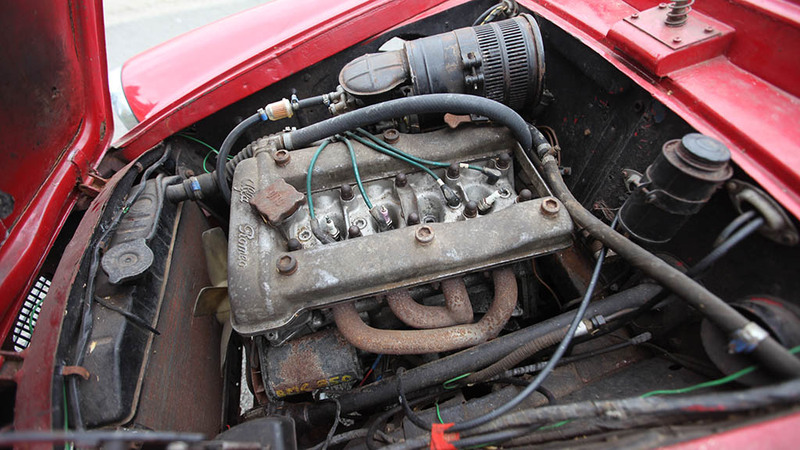 Because this Giulietta Sprint is also perfectly suitable for (classic) racing. Also worth mentioning is that there is a 1600cc measuring power source hidden under the beautiful nose, instead of the standard 1300. The latter is still present. The same applies to various spare parts, and the documentation is also included. The exterior of the Alfa is for the most part complete. Cherry on the cake is of course the (correct) sliding roof. 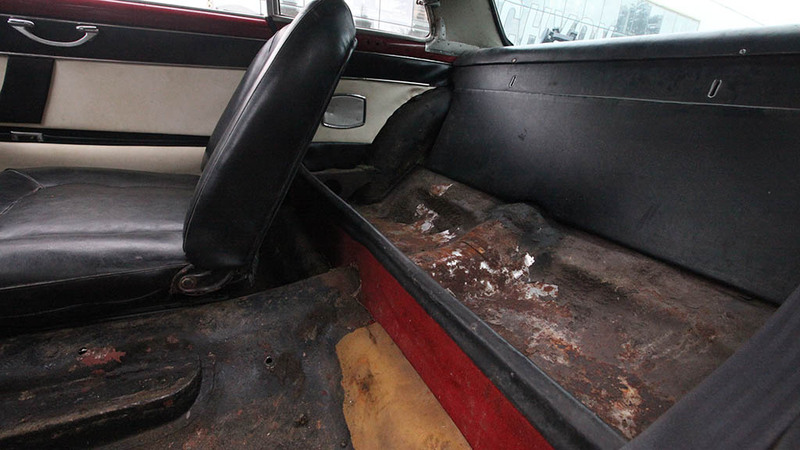 The interior is even completely intact. The oxidation layer that is visible on the pictures only concerns surface rust and is therefore fairly innocent.